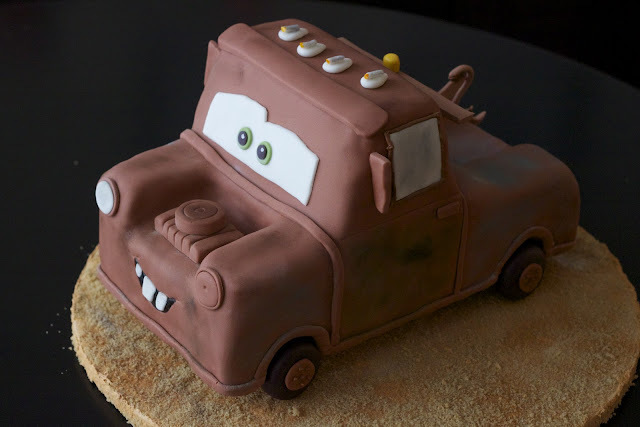 Sweet-D Cakes: A Mater of celebration! Last cake of the year! Amongst the holiday baking for family dinners (two gingerbread cakes with cream cheese frosting, a pecan tart and a lemon meringue tart), I made a cake for my nephew's 2nd birthday party which was today. The theme of the party was Pixar's Cars. 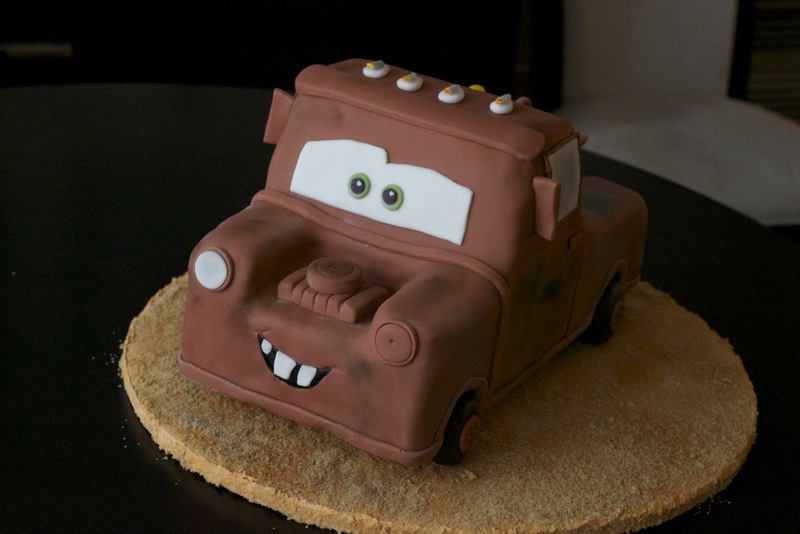 After deliberating with my sister, I decided to make a Mater cake. My cake sculpting experience is rather limited. I typically do regular shaped cakes (round, square, sheet) and make gumpaste/modeling paste figurines and details. I've done one sculpted cake before - it was a baby grand piano to celebrate the refurbishing of a 100 year-old family piano. 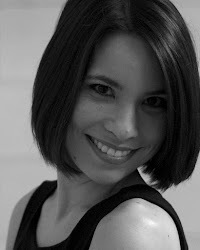 I will blog about that another time when I'm on a baking break. 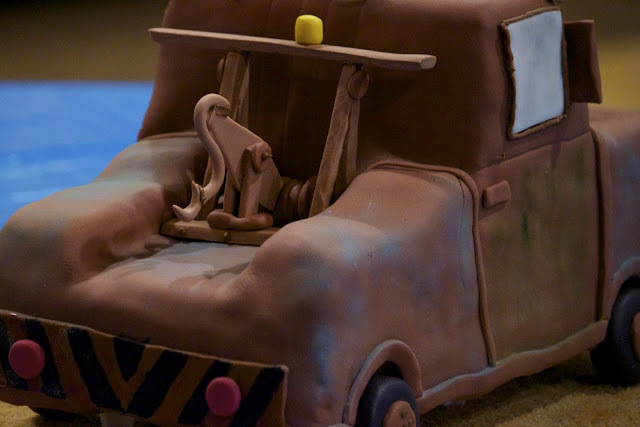 Sculpting a cake to resemble a car takes a lot of planning and measuring. I borrowed two little Mater toys from my nephew to help with figuring out proportions of the truck and the little details. It is much easier to carve a cold cake then a room temperature cake. A cake chilled in the freezer is best, however I did not have room in my freezer for that much cake so I did my chilling in the fridge. Once I cut the sheet cakes down to size, I filled my cake and chilled it again before carving out the front, back and the cab. The least favourite part of cake decorating for me is crumb coating and masking cakes. I am getting faster but I still find it tedious. After masking this sculpted cake, I promise that I will never ever complain about masking a round cake again. I used a 4" offset spatula but some smaller special shaped trowel ones would have been more ideal. Covering a sculpted cake in fondant is a bit stressful as you need to work very quickly to smooth the fondant into all of the creases and crevices. Because it was such a large cake and I used about 6 pounds of fondant to cover it, I also had to work quickly to cut off any excess fondant from the bottom to relieve the weight on the corners of the cake and avoid tears (both kinds!). The tow rig is made with gum paste and the details are painted/brushed on using gel paste, and coloured dusting sugars. The cake is vanilla, filled and masked with vanilla swiss meringue buttercream. The board is covered with royal icing and brown sugar to look like desert dirt. I was happy with my second attempt at a sculpted cake and I think that the birthday boy was too!